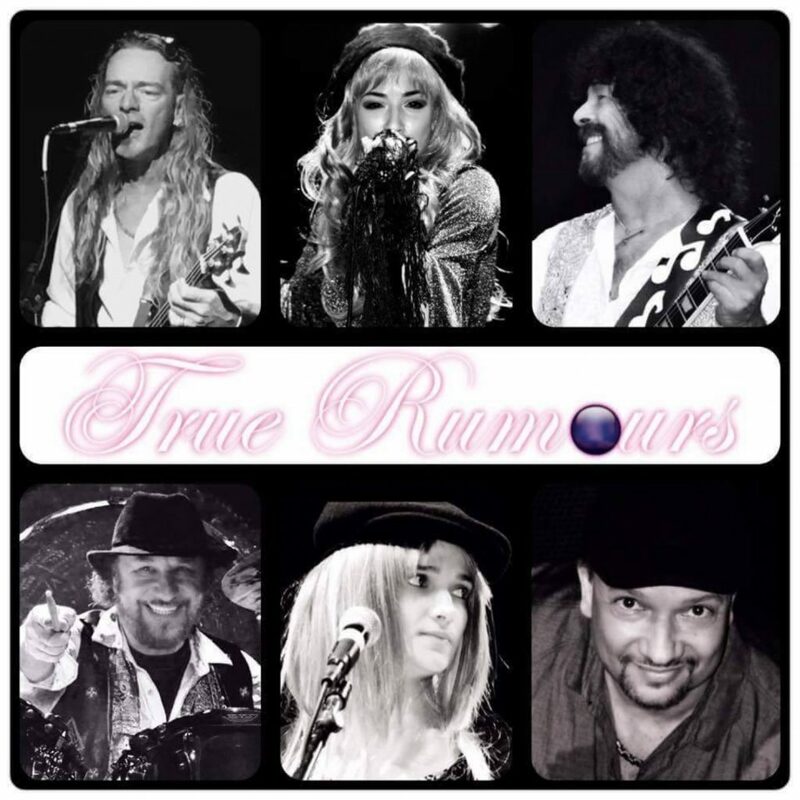 True Rumours, the ultimate tribute to Fleetwood Mac. This show will take you on a Fleetwood Mac journey like no other! You’ll hear all the great songs Don’t Stop, Dreams, The Chain, Gold Dust Woman and so many more. True Rumours re-creates all the great harmonies, you will see all the enchanting twirls, and experience the vibe of one of the greatest iconic bands of all time. Let True Rumours take you back in time on a Rock n Roll journey with the greatest hits of Fleetwood Mac.